Sudden Collapse: Have Central Bankers Met Their Match In "Liquidity Resistance"? Amongst certain influential market participants it is fashionable to suggest that equity markets can never have a major crash again due to the "Bernanke Put". What this means is that the equity markets will never go down again substantially for an extended period of time because the governor of the US Federal Reserve and the other central bankers at the European Central Bank (ECB), Bank of Japan (BoJ), Bank of England (BoE), Swiss National Bank (SNB), People's Bank of China (PBoC), Reserve Bank of India (RBI) etc won't let them. There may be doubts about Newton's law of gravity, but it seems that there are hardly any doubts left about the "Central Bankers' Put", which is now ranked higher than gravity kicking-in within certain financial circles. Yes, this may all be momentarily true like a conjurer's trick until the global equity and other select markets do undergo a severe downward correction suddenly, which is what our models now seem to be suggesting. The truth is that the central banks of the world, mired in tens of trillion dollar debt rattles -- causing a colossal deflationary environment -- are rapidly being confined to a corner of increasing irrelevance. They are constrained in both how much Quantitative Easing (QE) they can engage in and how effective any of that easing is likely to be. What we witness from them every so often are some cursory attempts to maintain the illusion that they are still relevant through pre-packaged speeches and rumours. They continue to talk the talk, but they can barely crawl, let alone walk the walk. With the Fed, the ECB and other monetary authorities in industrialised countries already stretching the limits of monetary policy through trillion dollar quantitative easing (QE) programmes, pressure has risen for them not to go any further, and even to begin pulling back as inflation sets in. Top officials have had to rely increasingly on speeches -- not always successfully -- to convey to financial markets how they intend to manage their national economies going forwards. 3. Printing of free money called Quantitative Easing (QE) to "save" the major economies of the world from the harsh realities of global recession. In the unfortunate instance of "Insulin Resistance", insulin becomes less and less effective at lowering high blood sugar levels in a patient suffering from advanced diabetes. 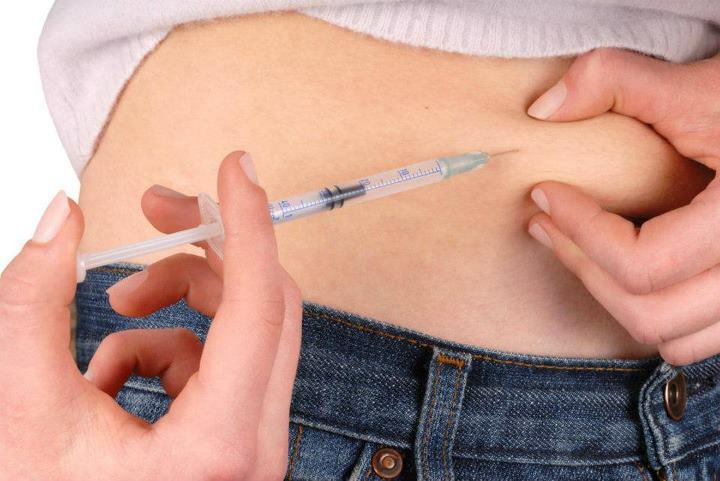 The amount of insulin required to maintain normal blood sugar levels increases as "Insulin Resistance" rises until even massive doses of insulin no longer have the desired effect and the living being ceases to function normally and begins to shut down, eventually collapsing. 4. Where $1+ trillion launched a multi-year enduring global rally in the equity markets -- albeit with QE2 and Operation Twist post QE1 -- now $2.5+ trillion has yielded a 100-day rally that is beginning to fall apart! 5. Where is the present equity markets' bull run going, based on the critical mechanism of "Liquidity Resistance" kicking-in? 6. To maintain the veneer of success, which is continuing bull markets, the next liquidity injection may now need to be double again, say $5+ trillion, and it will give birth to a rally of perhaps 50 days? 8. At some point, the ever larger liquidity injections will fail to boost the global markets at all, and that will trigger a panicked rush for the exits thereby precipitating a sudden collapse. ATCA 5000 successfully predicted the twin market crashes of 2007 and 2008. Those who argue that "this time it is different" in 2012 and the markets can inflate via the liquidity injections -- essentially forever -- are conveniently overlooking the critical mechanism of "Liquidity Resistance". Interbank liquidity is drying up and banks are parking record amounts of cash at central banks in anticipation of widespread banking failures. We would advise ATCA 5000 distinguished members to batten down their hatches for the critical portion of their portfolios. Not because "this time it is different" but because central banks' quantitative easing is not likely to be as effective as it was the first and second time round. Sooner or later, as further injections of quantitative easing are made they are likely to be rendered increasingly ineffective, eventually precipitating a sudden collapse in global equity and other select markets. This, no doubt, will present its own opportunities for the prudent and well prepared market participators but we would advise extreme caution going forwards as central bankers meet their match in "Liquidity Resistance".